Do you hate the old nine to five drudgery you have to deal with day after day, week after week, year after year? Would you rather stay home and redecorate your house? In fact, would you rather be decorating other people’s houses for a living instead? Then now is the time to read up and learn all of the best secrets about the home staging business. Life is just too short to spend a third of it doing something you hate, are bored with, or just are not happy doing. Why work for someone else and put up with the boss’s bad moods. You do not have to sit and dream of being able to afford the nice things he or she is able to purchase thanks to all of the money you are making for them any longer. Home staging is one of the fastest growing businesses you can get into right now. So if you have a directory2@barbarajennings.comack for home décor, why not put it to work for you? At Decorate-Redecorate, you will find the products and courses you need to teach you everything you want to know about the staging business. Staging a home in order to make it a more viable product on the market is more important than ever as the real estate market begins to cool down. People who put their homes up for sale usually want them to sell fast, and they also want to be able to get the most money they can for their home. After all, they are usually planning to purchase another residence or condo and the more money they have to buy that new house with, the better. Oftentimes they are looking to pay off a few bills as well so they can reduce their money out-lay. That is where redecorating a home before it goes on the market pays off. If the house is an attractive and exciting show place, then people are going to pick it over the other ones on the market that might not be quite so attractive. It just makes sense. Don’t cheat yourself out of a business career that will not only make you happy, but bring in a lot of rewards along the way. Visit www.decorate-redecorate.com today to learn more about how to get started. 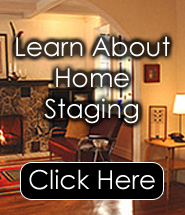 Check out the important materials and courses being offered that can jump start you into home staging. You owe it to yourself to make your life a happy and rewarding one. Why not enjoy it as well!